I’ve never had a sweet-and-salty curry combination, but this was pretty rad. Once again, I gobbled through this bowl of popcorn in no time and mentally added this to my list of movie-watching snacks. 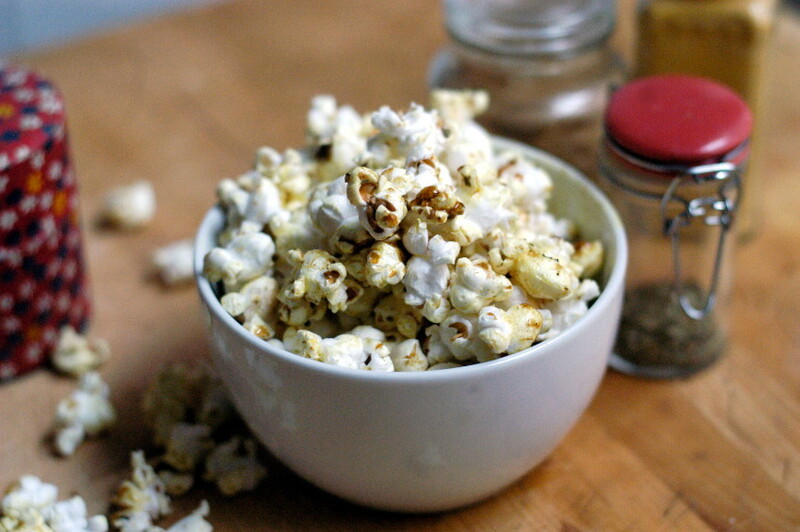 Spicy-sweet curry popcorn and maybe a bottle of dark winter ale? Absolutely. 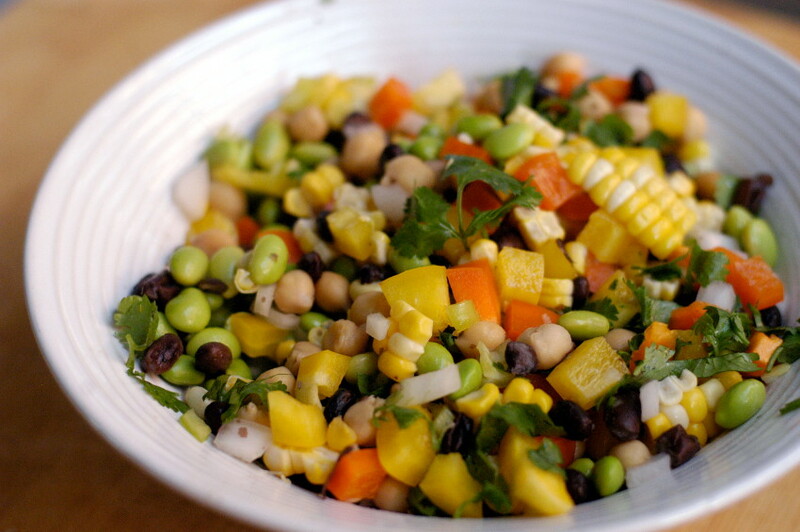 This salad has simple ingredients that end with a big result. 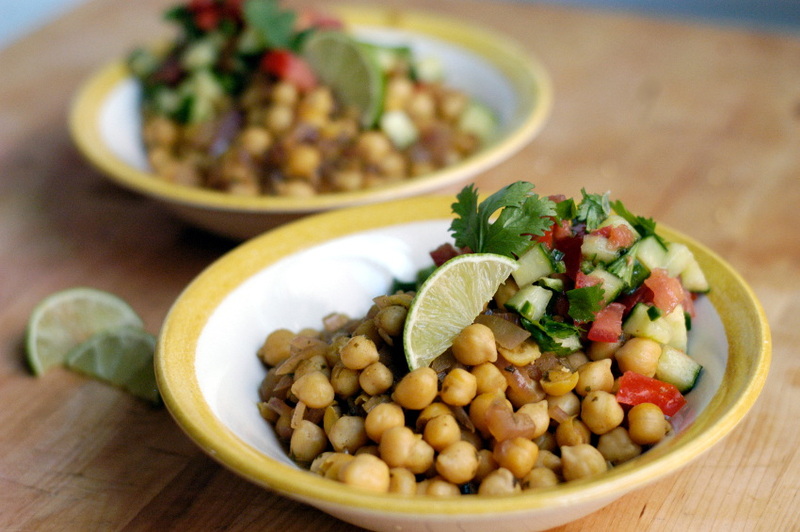 The chickpeas and seasonings are so earthy, but the salad on top really cools things off and brightens the entire dish. 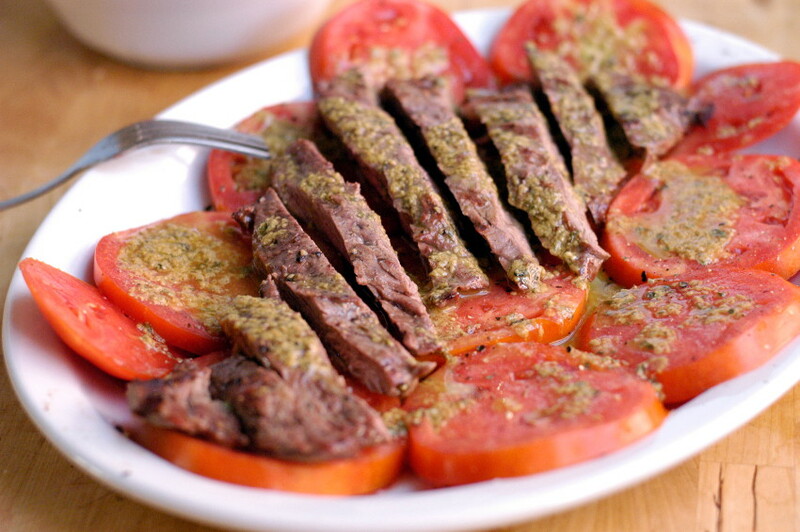 Bill was in the mood for some kebabs, and he landed on this well-spiced lamb recipe. He found the recipe, cooked it up and let me snap photos — and claim at least a teensy bit of credit. 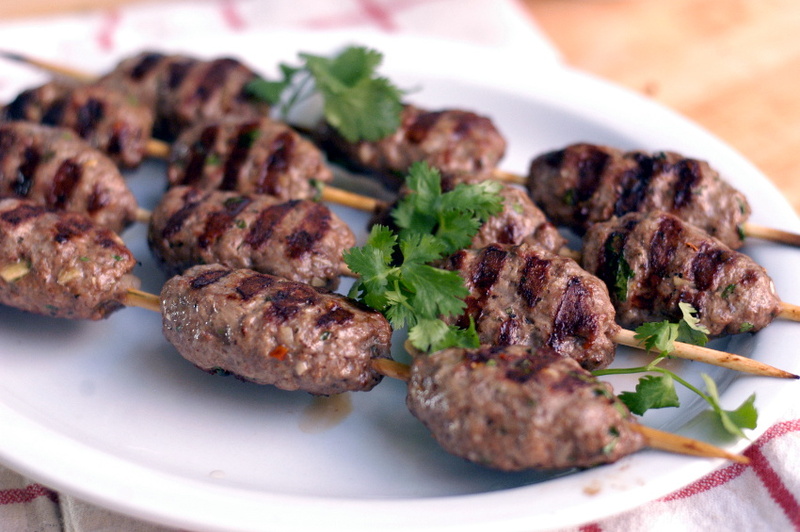 We had these kebabs with the chickpea salad I posted Monday, and it was the perfect complement. 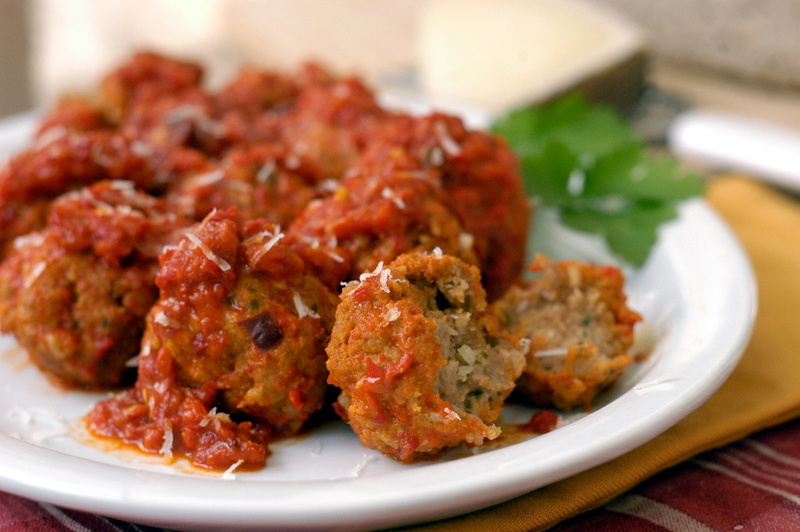 My friend Drew made these meatballs at a restaurant he used to work at in Chicago, and they were always awesome. When I got my hands on some ground duck — and I knew this meatball guide was on the horizon — I shot Drew a text and he was kind enough to not only send me the recipe, but convert it down from massive restaurant portions. I cut up the chicken and mixed the sauce the night before so I could just toss all the ingredients in the slow-cooker the next morning. What could be better than having lunch (or dinner) ready and waiting? 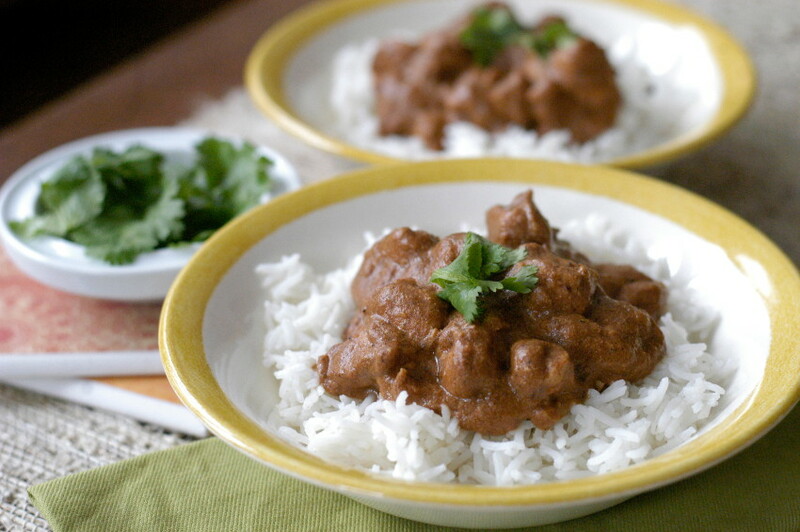 Especially when it makes your apartment smell like the best and coziest Indian restaurant.